McLaren Construction Group has released its 2016/2017 annual results, delivering impressive growth driven by a strong performance. In the year to July 31 2017, the group saw its turnover grow by £119.8 million to £600.3 million, with the overall company revenue increasing at an average rate of 9.8% per annum in the past five years. Operating profits reached £4.4 million compared with £3.6 million in the previous year, and gross margin increasing from 5.3% to 5.6%. In addition, the contractor’s forward order book continues to be robust, with 100% of turnover secured for 2017/2018, and turnover forecast to surpass £600 million once again. McLaren Construction has also continued to enjoy long term relationships and repeat appointments with clients such as Quintain, Amazon and the London Borough of Hackney. “Whilst mindful of the economic uncertainty surrounding Brexit, we will however, remain focussed on achieving controlled growth and ensure that we continue to strengthen our market share, through securing repeat business with our existing customers and by establishing new long term relationships, coupled with targeting certain frameworks”. “We will continue to place a high emphasis on strategic training and development of our colleagues along with implementing new business improvement initiatives all of which is pivotal to our future success”. McLaren Construction’s commercial portfolio remained strong, with the completion of the back to shell refurbishment of Belmont, a 250,000 sq. ft. Uxbridge office building for Aviva, as well as Herbal House, a 150,000 sq. ft. commercial development in Farringdon for Aerium. Ongoing commercial projects include an £18m office development for Grosvenor Estates, and 119 Farringdon Road, a £40m commercial building for Viridis Real Estate. McLaren Construction was also awarded the complete refurbishment and fit‐out of New Bracken House in the City of London for the Obayashi Corporation, delivering a new London HQ for the Financial Times. In the retail and leisure sectors, McLaren benefitted through its strong relationship with FTSE‐100 repeat customer British Land, securing projects at Broughton Shopping Park in Flintshire, a mixed‐use development in Speke, Merseyside and a leisure extension at Drake Circus in Plymouth city centre. Substantial contracts were also awarded by McArthurGlen to deliver the new Ashford Designer Outlet and the extension of the £73m Lakeside Shopping Centre in Essex for intu. The successful logistics sector supported McLaren Construction’s growth, with the completion of several projects for Amazon, The Range and Kuehne + Nagel, delivering a total of over 5 million sq. ft. in Manchester, Tilbury, Bristol and Donnington. The residential sector has also been very buoyant, particularly in London with over 750 residential units being delivered for Quintain in Wembley Park and for the London Borough of Hackney. McLaren Construction’s manufacturing capabilities continued to expand, with the successful completion of projects for Jaguar Land Rover in the West Midlands and the appointment to deliver Magna UK’s high pressure die cast facility – the company’s first significant investment in the UK. 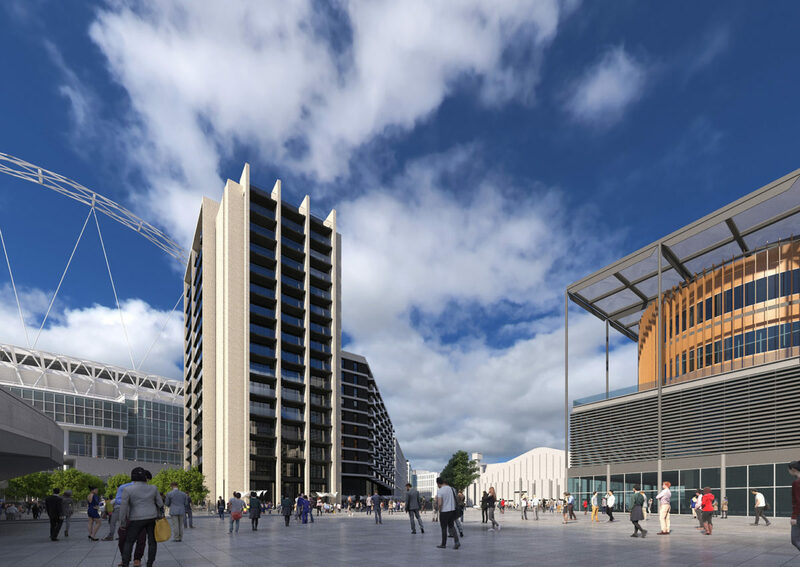 In addition, McLaren has also been awarded a place on the Argent framework for both the Tottenham Hale and Cricklewood regeneration projects. Internationally, McLaren has focused its efforts on the United Arab Emirates, which while remaining a highly competitive market, continues to thrive, particularly on the back of the group’s ability to provide construction finance through the UK Export Finance Initiative. A few key Middle Eastern projects for the 2016/2017 financial year were Chef Middle East HQ and Food Cold Storage facility in Dubai for Gulf Capital, and Orbi, an entertainment and leisure facility for a Majid Al Futtaim/BBC Earth and SEGA joint venture. Recently awarded projects include a production facility in Dubai and a one million sq. ft. logistics complex in Dubai South.